I read this at the beginning of 2015 and was highly disappointed. I thought it was an extremely vivid dream that was trying to be quickly put into written words, and I was confused half the time. When I start a book, I want to become invested in the characters, so I can feel more attached to them and empathize with the ups and downs. I felt there wasn't enough detail put into either main characters, so when an extreme rescue mission comes up, I had to find out what happened, but I could've been more on the edge of my seat, if I had more to go on who these characters are. I started the second book in the series in hopes of getting to know the characters and stick with them, but I soon became lost and put it down and reread this book again. I think with this author, every sentence contains a little bit of information you're supposed to hold onto. The dream like state in the heart, was much clearer when I read the sentences over and over trying to decipher and picture what the author is trying to convey here. I found it to be so much better the second go around! It's quirky and I guess isn't for everyone, but I'm glad I have it a second chance. Now on to book 2. 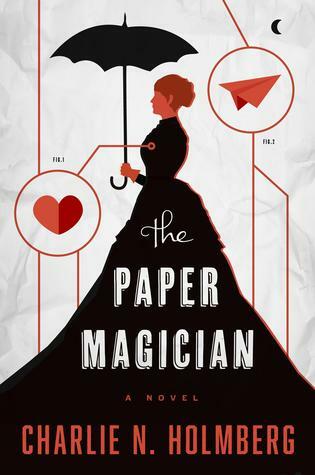 Sign into Goodreads to see if any of your friends have read The Paper Magician. 35.0% "It's finally picking up." 46.0% "I thought this book was going to go no where at first. I'm excited it's getting some action."